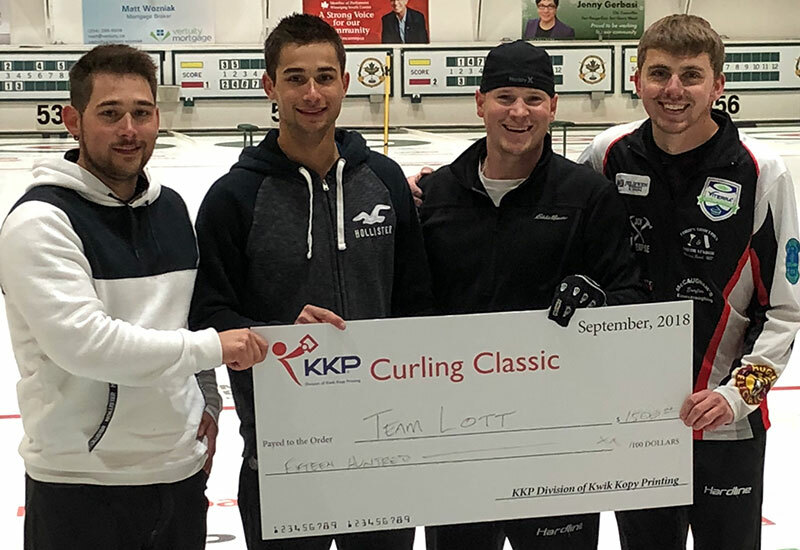 Tanner Lott (Winnipeg Beach, MB) wins the KKP Classic, defeating Dennis Bohn (Winnipeg, MB) 10-5 at the Fort Rouge Curling Club in Winnipeg, Canada. Lott with Colton Lott at third, Kennedy Bird and Wade Ford on the front end take home the $1,500CDN first place cheque along with 27.349 world ranking points, while Bohn receives $1,200CDN and 20.056 world ranking points for their second place finish. For Lott, that makes it back-to-back titles after winning last weekend's Mother Club Classic in Winnipeg. Starting with hammer, Bohn scored 3 in the first end, but Lott responded in the second end scoring 3 of their own. After Bohn scored a single in the third end, Lott responded in the fourth end scoring another 3 to lead to 6-4. Lott added a steal of 2 in the fifth end, then forced Bohn to a single in the sixth end. Lott scored 2 more in the seventh end for the 10-5 win. In the semifinals, Lott defeated Jordan Smith (Winnipeg, Manitoba) 10-3 and Bohn defeated Braden Calvert (Winnipeg, Manitoba) 6-5. Calvert and Smith earned $900CDN and 15.498 ranking points for their semifinal finishes. Lott went 3-1 in the 10 team round robin pools qualifying round. In their opening game, Lott lost 8-4 to Smith, then responded with a 5-3 win over Ty Dilello (Winnipeg, Manitoba). Lott won against William Lyburn (Winnipeg, Manitoba) 8-5, then won against Andrew Wickman (Winnipeg, Manitoba) 6-2 in their final qualifying round match.